Are you an OUTLANDER FAN? 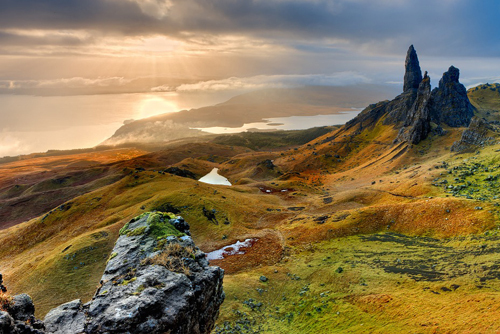 are you visiting Scotland? 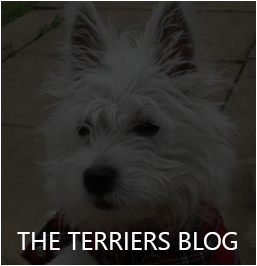 If want to take a private guided tour and learn more about the characters and locations used in the series’s from two fellow fans, then keep reading. 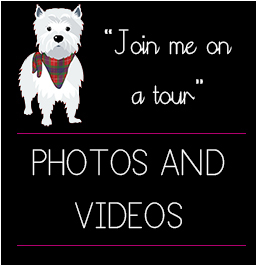 Scottish Terrier Tours will be happy to work with your small group to design a tour of the locations you want to see, here are some Outlander locations to get us started. • Drummond Castle Gardens (Versailles) Located in Perthshire, the castle gardens are what make this outlander location breathtaking! An absolute must see, rich in beauty and history. • Deanston Distillery – A short drive from Doune Castle, Deanston Distillery used to be a cotton mill, you can take a tour have a taste of whisky or even a coffee from their gift shop. 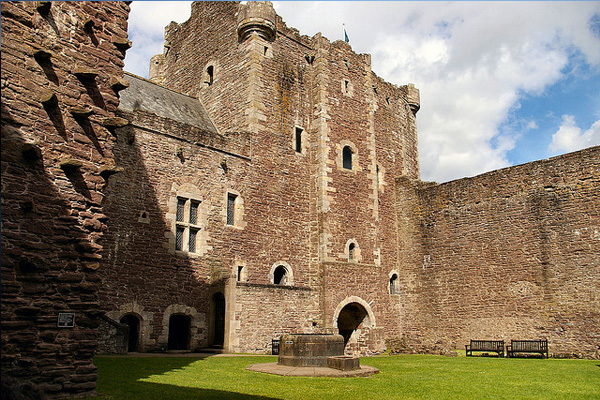 • Doune Castle (castle Leoch) Doune Castle is probably the most well known outlander location and our tours of the castle ensure you get the most from your visit, you can listen to the audio guide narrated by Terry Jones from Monty Python. • Glasgow Cathedral ( hospital Des Anges) Glasgow Cathedral is absolutely stunning and you can easily spend a morning or afternoon on a tour here and still not see all it has to offer, highly recommended! • Dysart Harbour (le Havre) Once the backbone of the Fife economy, Dysart Harbour is steeped in rich history with some people stating it dates back to 500 AD! • Craigmillar Castle (ardsmuir prison) This Edinburgh based caslte is another ancient midieval ruin not far from Edinburgh city centre. 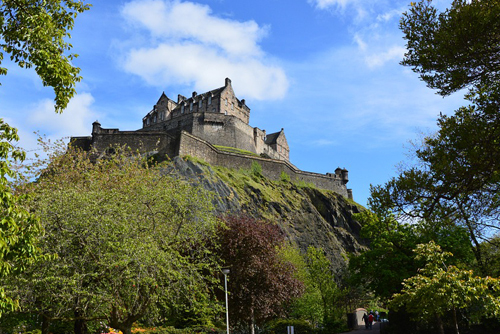 The infamous Mary Queen of Scots has lots of history at this castle which our tour operator Graeme will explain. • Loch Katrine (backdrop season two) A perfect day out, especially if the weather is good, the scenery at Loch Katrine is simply wonderful. • Bake House Close ( royal Mile) Located in Edinburgh city centre in the old town this popular outlander location is almost hidden in plain site. • Midhope Castle ( Lallybroch) This is a really quaint wee location, you will likely recognise it as it appeared several times in the Outlander series. • Culross Fife ( Cranesmuir) Another Fife location, the area of Culross is very unique in many different ways, with old cobbled streets and the chance to visit the Culross Palace. As fans of the series ourselves, we have a huge list of Outlander locations that you can visit and we even discuss a custom itinerary with you so you can visit your preferred set locations. 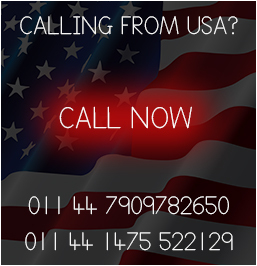 Simply start by sending us a message for more details or any questions you have on our tours. 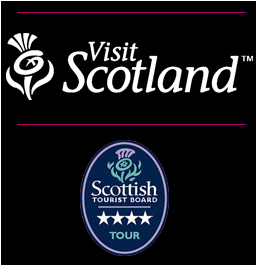 Outlander tours can be booked for one day or multi days, if you wish to visit Culloden and Clava Cairns an overnight stay in the Scottish Highlands is highly recommended. Our co-owner Tracy has fantastic knowledge of accommodation across Scotland so we can recommend places to stay for the night based on your requirements. 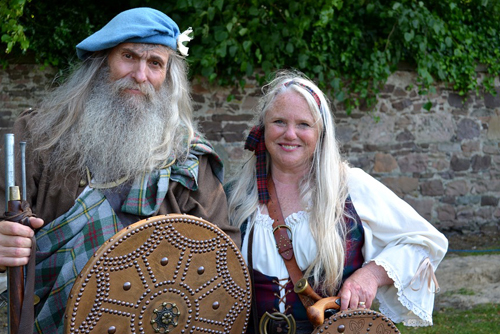 Our Outlander experience is perfect for small groups of friends and families, you will be collected from your accommodation by co-owner Graeme in full Highland dress for your ultimate Outlander experience. To most fans this is common knowledge, Sir Sean Connery & Liam Neeson were considered for the role of Jamie Fraser. Claire Fraser was cast the 11th hour, Irish actress Caitriona Balfe was chosen just a short time before filming began! 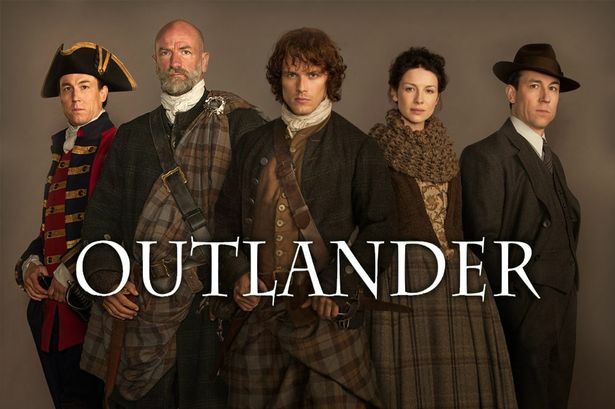 When Outlander was about to air, due to the nature of the show’s plot Then UK prime minister David Cameron wanted to delay filming until after the Scottish Independence vote in 2014. The show was in fact delayed, controversial to say the least. Outlander was inspired by Doctor Who! From time travel, elements of the story and some characters take a step back and you can see the influence.